Product prices and availability are accurate as of 2019-04-20 21:52:18 UTC and are subject to change. Any price and availability information displayed on http://www.amazon.com/ at the time of purchase will apply to the purchase of this product. Author Bookstand is proud to offer Ron Coyote, Man of La Mangia by Bookstand Publishing. Bookstand Publishing offers books by the best indie authors throughout North America and the world. Bookstand Publishing is dedicated to offering original content to a broad audience and promoting great authors, literacy, and freedom of expression. 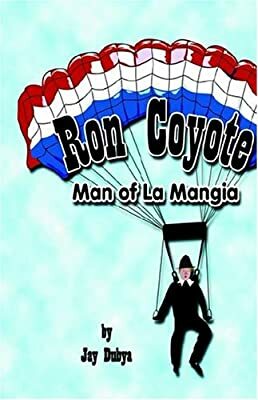 Ron Coyote, Man of La Mangia has generated a lot of interest and excitement and we think it would be an excellent addition to your library. Ron Coyote, Man of La Mangia is a funny and irreverent satire/parody on Miguel Cervantes/ Don Quixote, published in 1605. Jay Dubya assumes the writing role of Sir Vantes. In the novel Jay Dubya uses over two dozen parallels between the Coyote and Quixote' sagas. Ron Coyote is a wealthy peach and apple farmer. His trusty main foreman is Pancho Sanza. Coyote is the ideal dreamer out to change the world and Sanza is the practical hedonistic rascal quite happy with the way the world is dysfunctioning. Ron Coyote comes under the influence of Calvin Mather, a televangelist who preaches that America should return to the moral values of its Puritan' Founding Fathers. As a joke, Pancho buys Ron Coyote a Pilgrim suit, and soon the Man of La Mangia believes that he is a contemporary Pilgrim assigned by Heaven to save America from sin, crime and decadence. Ron Coyote has a black '38 Plymouth appropriately named Roachinante, a WWI vintage biplane Roachinante II, a stubborn mule called Clinton and a pig named Madonna. Ron Coyote dedicates his great quest to Della Cinnea, an obese school-crossing guard. As incentive for Pancho to accompany him, Ron Coyote promises Sanza a new shack with a flush toilet, and Pancho goes along with his employer because Sanza's wife threatens him with castration if she doesn't soon get indoor plumbing and modern sanitary facilities. Ron Coyote and Pancho Sanza have many extraordinary adventures with the IRS, rowdy teenagers, tramps, Arab terrorists, the U.S. Army, cannibals, gays, the Mafia, motorcycle gangs, Della Cinnea, convicts, Russians and with Calvin Mather. Ron Coyote, Man of La Mangia is an adult novel that features adult language and situations. It is philosophical, risque, humorous and satirical. Ron Coyote is adult entertainment, and it is not a book for the moral majority, for the politically correct or for children.